Do you feel uncomfortable eating, talking, or even just smiling around others because you worry they will notice the gaps in your smile? You are not alone. According to the American Association of Oral and Maxillofacial Surgeons, nearly 70% of American adults aged 35 to 44 are missing one or more teeth. Fortunately, there is a range of restorative dental treatments available that can help rebuild your smile. Not sure which option is right for you? 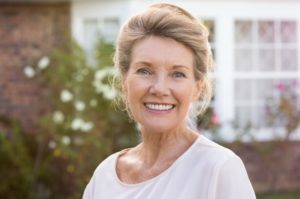 Here is a helpful breakdown of both dentures and dental implants in North Austin. Gums Bleeding? Gum Disease Therapy in North Austin Can Help! 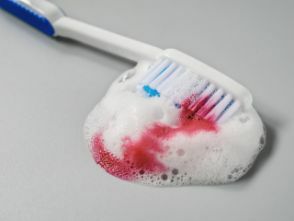 Bleeding gums are usually caused by one of the following reasons: brushing too vigorously or gum disease. If the latter is the source of the problem, then gum disease therapy in North Austin provides a route to have your oral health restored. 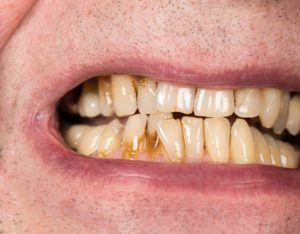 As part of recognizing February as National Gum Disease Awareness Month, an expert explains what the disease entails, what symptoms to look for and how you can have your gum health restored! Comments Off on Gums Bleeding? Gum Disease Therapy in North Austin Can Help! Want a Creative New Year’s Resolution? Schedule With a Dentist in North Austin! Every January, millions of Americans make New Year’s resolutions. In fact, a poll conducted in 2017 found that 53% of respondents resolved to save more money, while 45% wanted to exercise more and get in shape. But if you always make one of these common resolutions each year and want to do something different in 2019, why not focus on your oral health for a change? 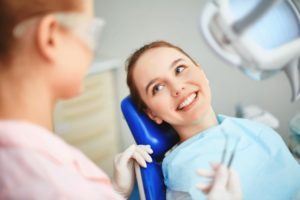 Scheduling with a dentist in North Austin (along with a few improvements to your oral hygiene routine) are a great start to achieving your best smile yet this year. Keep reading to find out why your oral health is such a worthwhile resolution and what you can do to improve it! Comments Off on Want a Creative New Year’s Resolution? Schedule With a Dentist in North Austin! New year, new you! Many people use the start of a new year as motivation to make personal improvements such as eating healthier or going to the gym more often. 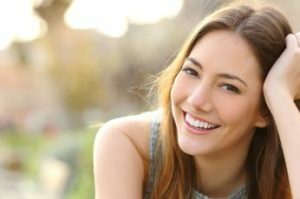 If you suffer from low-esteem because of flaws in your smile, there is no better time than the start of the new year to consider cosmetic dentistry treatment options to improve the appearance of your teeth. You can start here! Below is everything you need to know about veneers in North Austin. Your Dentist in North Austin Says Don’t Waste Your Benefits! The end of the year is just around the corner, and you are busy getting ready for the holiday celebrations. Your dentist in North Austin says to be sure to leave some room on your priority list for taking care of your oral health, though. Find out how to maximize your current dental insurance as you continue reading. Comments Off on Your Dentist in North Austin Says Don’t Waste Your Benefits! Your Emergency Dentist in North Austin Says Do This for Emergencies! It’s Saturday morning, and you have plans to head out for a day of shopping. Your plans are interrupted, though, by the sudden sharp pains of a toothache. Now you find yourself thrust into a dental emergency, but what should you do? 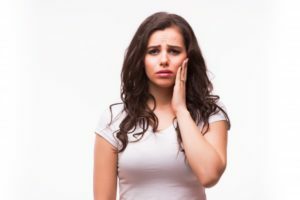 Your emergency dentist in North Austin explains what steps to take to get relief from this and other types of dental emergencies as you read further. Comments Off on Your Emergency Dentist in North Austin Says Do This for Emergencies! If you have silver (amalgam) fillings you received at a young age, chances are that those fillings contain a large amount of mercury. Over the past several years, many dentists are making the switch to using other materials like composite resin because of the risks associated with mercury in numerous studies. According to the FDA, 50 percent of dental amalgam contains elemental mercury by weight. Patients who aren’t aware of the health risks associated with mercury should read this post from a holistic dentist in North Austin. There you are, brushing your teeth before work in the morning when all the sudden you look in the sink and see…blood. Uh-oh! On top of feeling alarmed at the sight of blood, you’re probably wondering what you can do to stop it and why it happens in the first place. Keep reading to learn about the causes of bleeding gums and why gum health is so important. You’ll also learn what you can do at home and how professional gum disease treatment in North Austin can help! 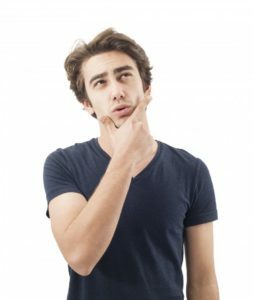 It’s typical for dentists to treat whatever issue appears in the mouth and not address the problem any further. 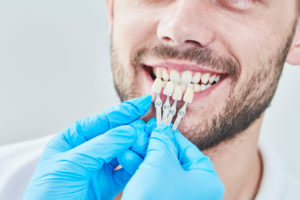 By doing this, there’s no guarantee that the problem won’t happen again, costing you more time, more money, and leaving you without a real solution to your dental issue. That’s why your dentist in North Austin treats patients with holistic dentistry in mind. By using this approach, you’re far more likely to reach the source of your problem and keep your oral and overall health in good shape! Give Us a Try as Your Dentist in North Austin! Are you looking for a dentist in North Austin? Maybe you’re new in town and need to find a tooth doctor to look after your smile, or perhaps it’s been years since you saw a dentist and you’re ready to start taking your oral health more seriously. Either way, we hope you’ll give us a try as your oral healthcare provider. Please take a moment to learn more about our practice and how we strive to deliver top-notch service to every patient who comes into our office. Comments Off on Give Us a Try as Your Dentist in North Austin!